Hi guys! Gotta keep it short today. I have a lot of stuff to do! 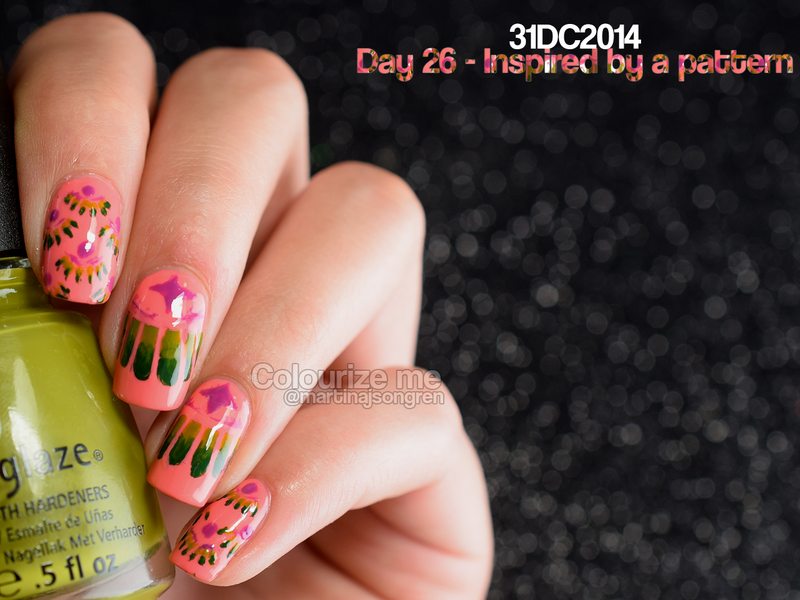 Today it's day 26 and the theme is inspired by a pattern. Take a look! So my inspiration for this manicure was a piece of gift wrapping paper with a cute pink and green flower-ish pattern. I didn't use the exact same shades as the paper, 'cause I didn't want to copy the pattern right of. 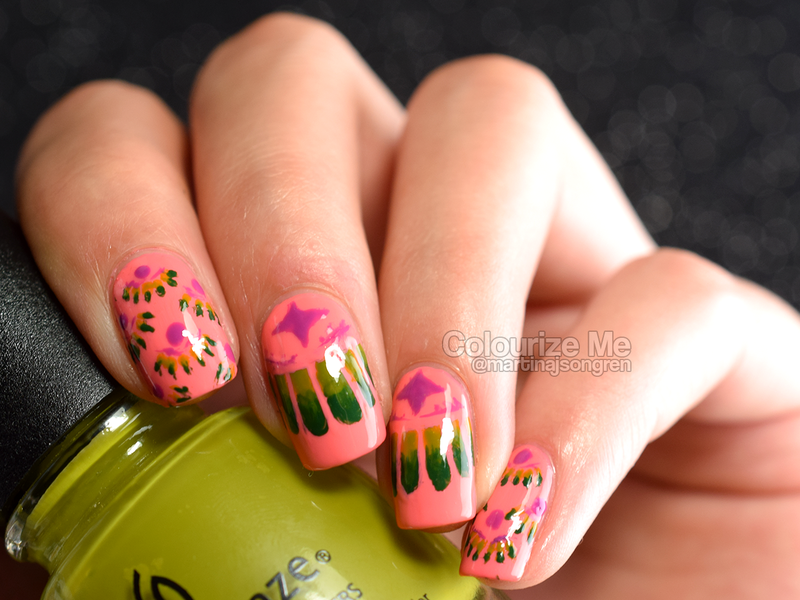 That's why I did two big flower-ish thingies on mt middle finger and my pointer. For this manicure I used butter LONDON Trout Pout as a base and I used LVX Orchid for the other pink parts. The green parts is Holly-Day and Budding Romance, both from China Glaze. 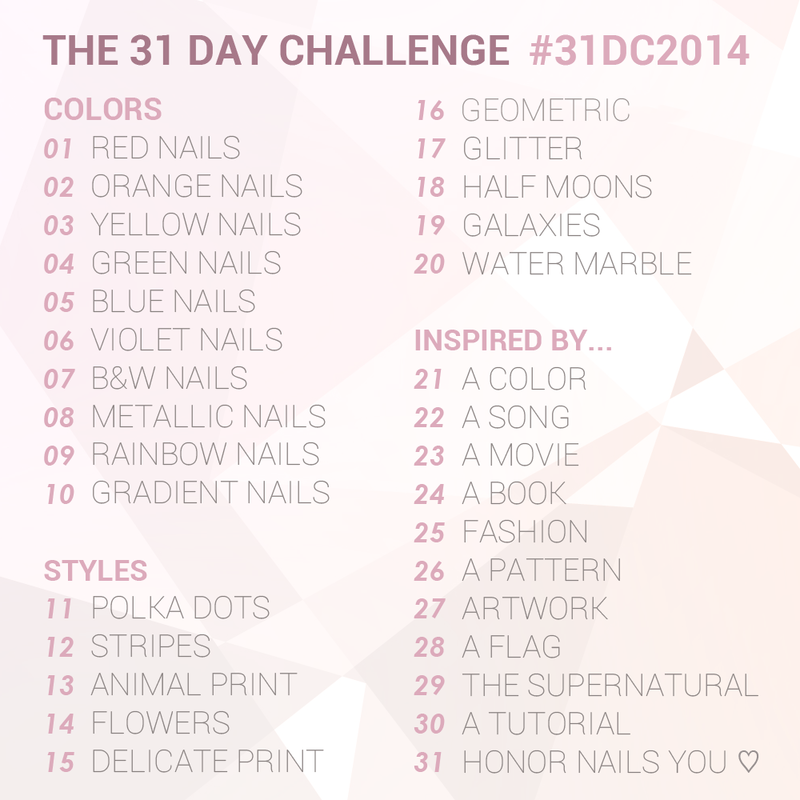 Check out day 26 from last years challenge, click click!